zero or kaname. 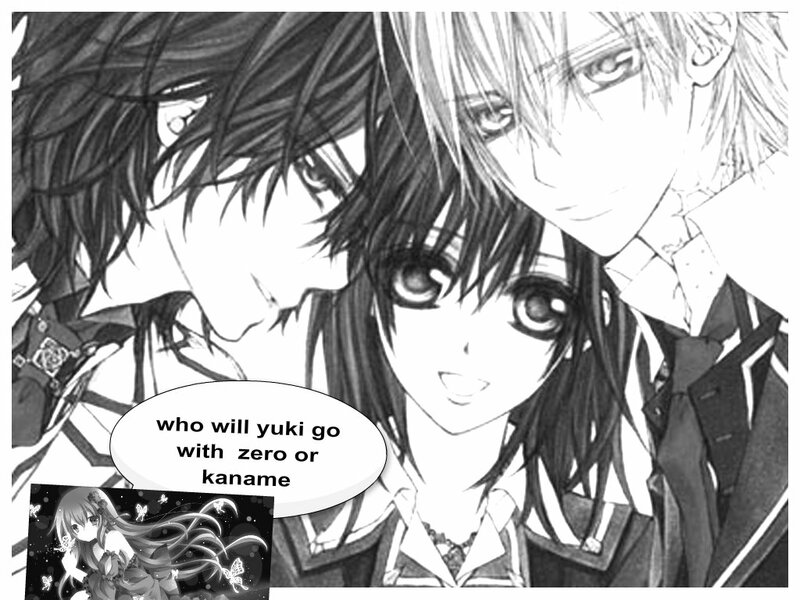 i amor zero but i think yuki should go with kaname. HD Wallpaper and background images in the vampire knight club. This vampire knight fan art contains anime, banda desenhada, manga, desenhos animados, mangá, and quadrinhos. There might also be jornal, papel, revista, tablóide, pano, and tabloide.